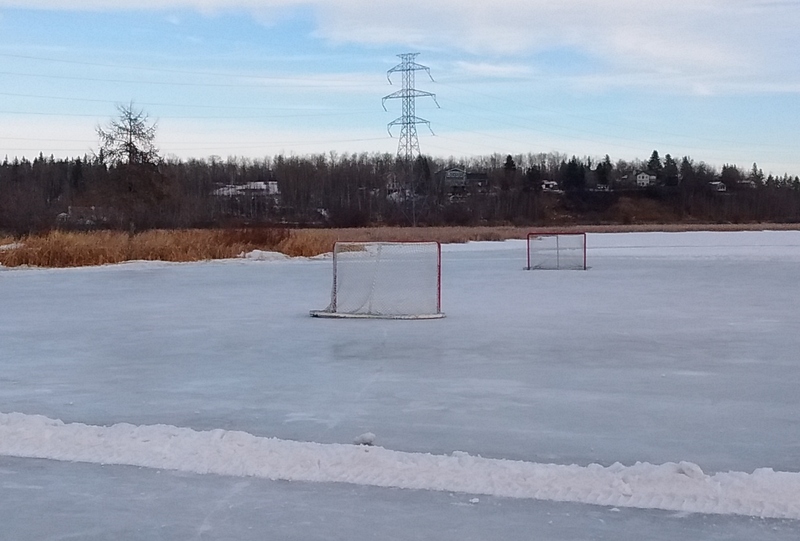 Shinny or pond hockey is an informal version of ice hockey. There are no rules. Many communities build small rinks where people can play a "pick-up" game. This one was a patch of cleared lake ice at the Wabamun town site boat launch.